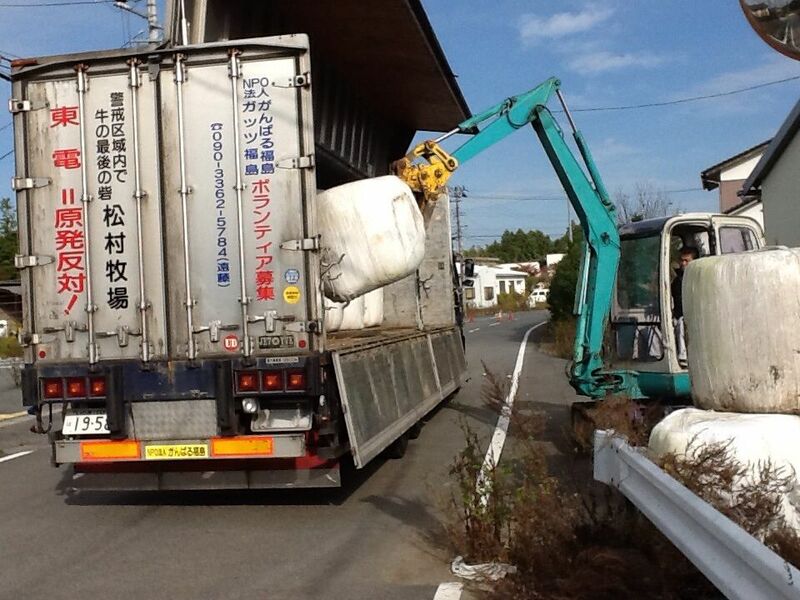 I bought a big truck to carry cow's food. 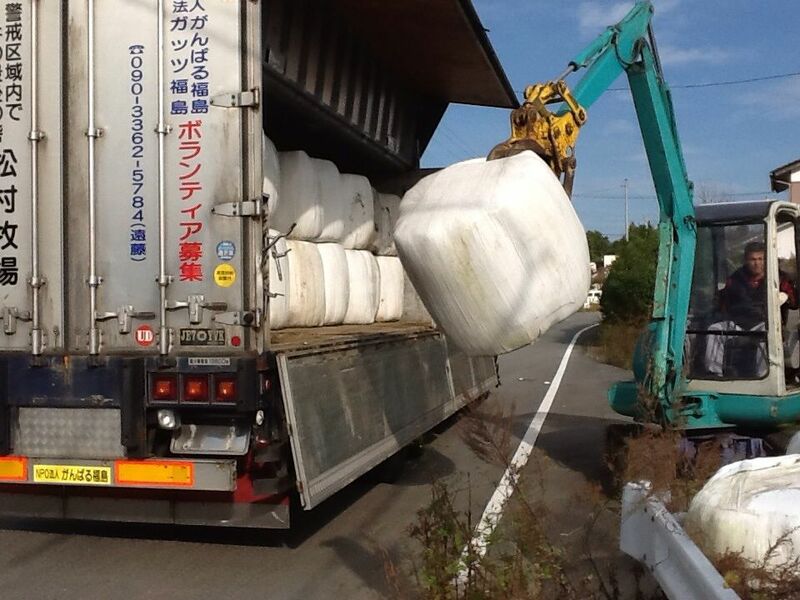 The truck can contain 36 bales of hay. 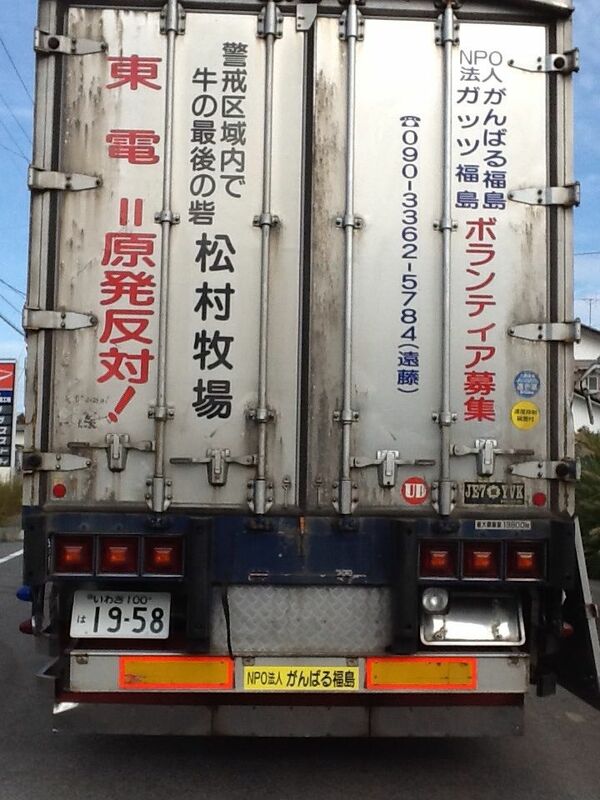 Please take a look at the back of the truck! Mr. Endo asked a sign store to put those words on. (It was a little surprising to me, too.) With this, we can collect cow food for the winter all in November. 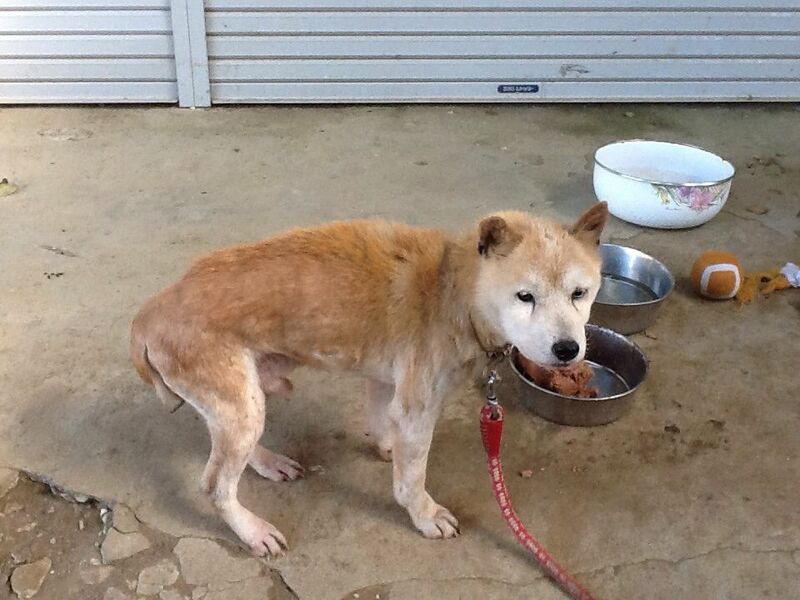 It's a recent picture of Kiseki. His hair has started growing. He looks like a dog now. This little picture was taken when we found him. 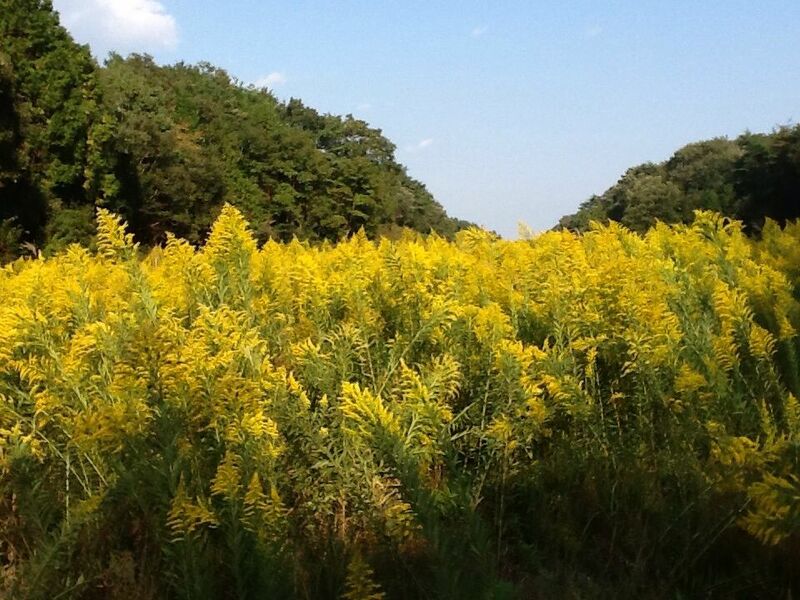 Field mustard garden in the fall ??? 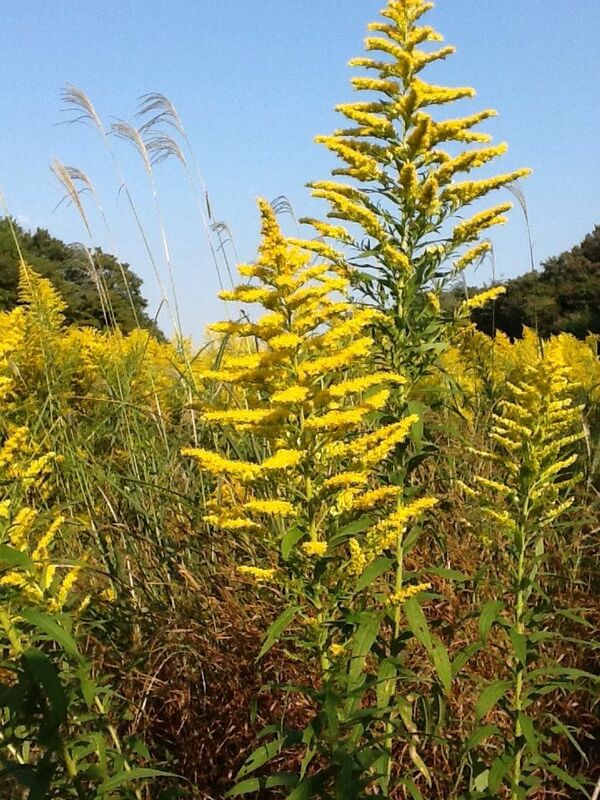 It's actually Canada Goldenrod. Most rice paddies, fields, and other empty lot in the evacuation zone are filled with this alien species. It's more like occupied with them. 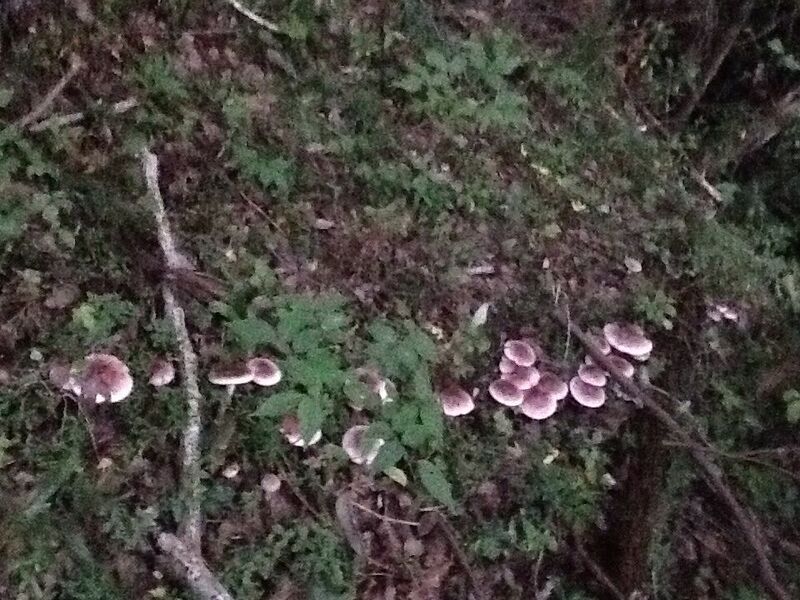 The names of mushrooms are sarcodon aspratus, from top, tricholoma ustale and clitocybe nuda, also known as wood blewit. I took these pictures of mushrooms near my home. 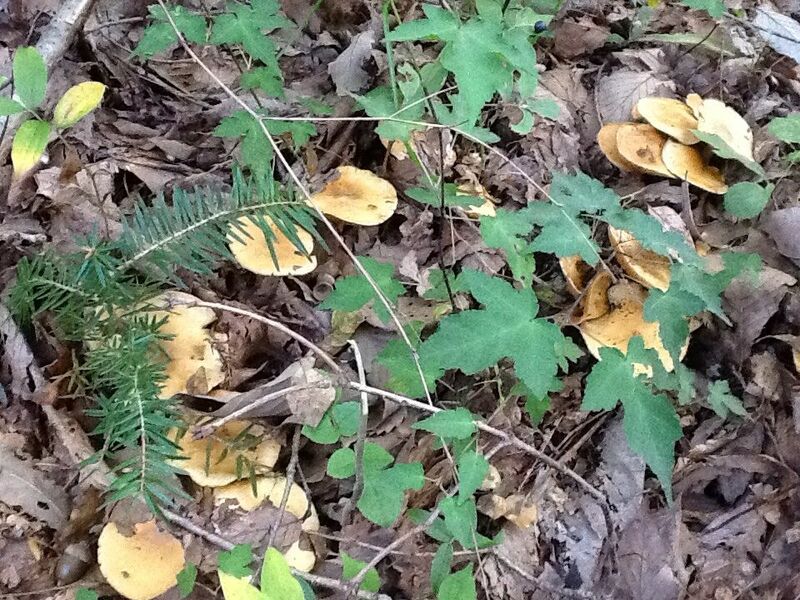 Of course, we cannot eat them due to high cesium contamination. 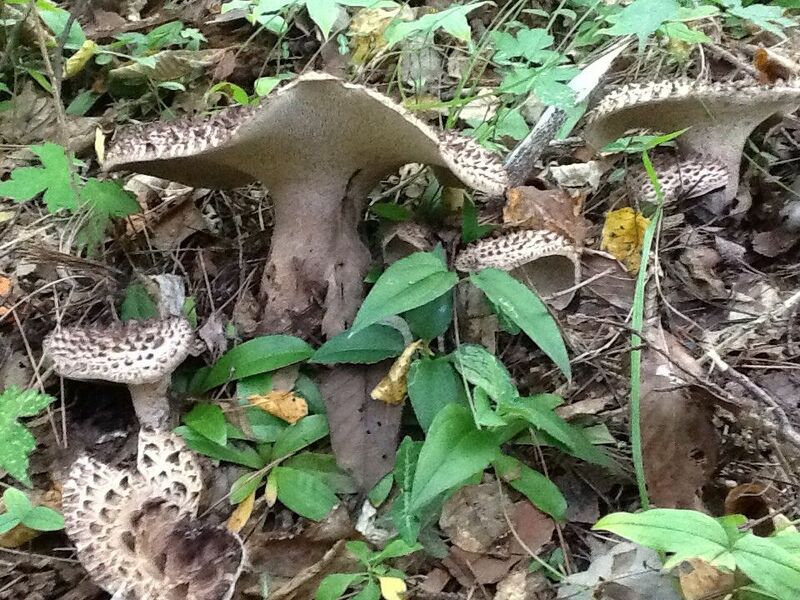 Just for the record, we conducted a research on mushrooms found in the mountain near the Tomioka town hall and detected 12,000 becquerels on them.